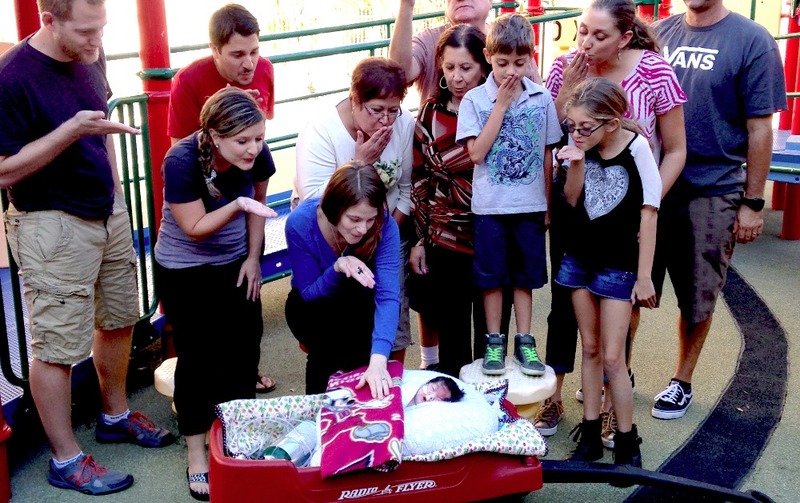 On September 15, 2014, Theo Mateo was born to his parents Nick and Niki Kizer at St. Joseph’s Hospital in Phoenix. That day began the two-month journey that saw Theo battle through many ups and downs due to Pena-Shokeir, a syndrome caused by genetic mutation. 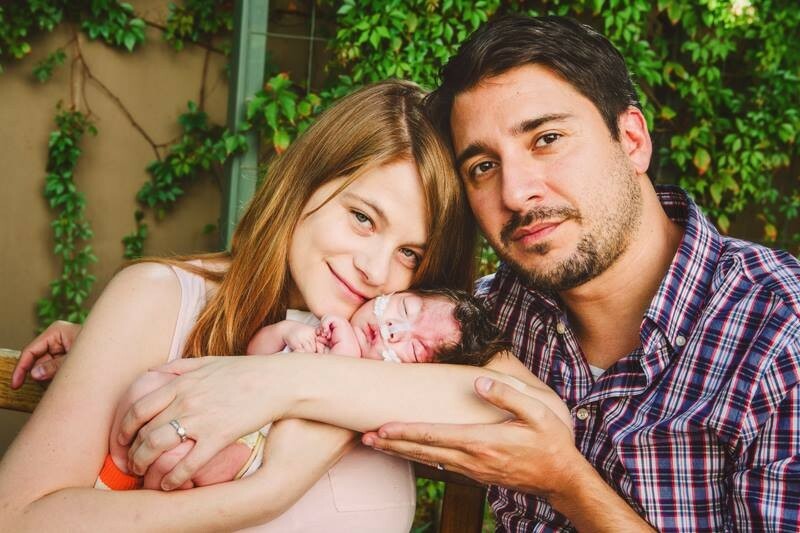 After doctors explained that Theo had a short time on this earth, Nick and Niki decided it was best to get Theo out of the sterile hospital setting. Ryan House was the facility that offered Theo many experiences his parents dreamed for him. Even in his fragile state, Theo was able to have a private concert, watch his first Cardinals game and get a visit from the family dogs, all while receiving world class medical attention. 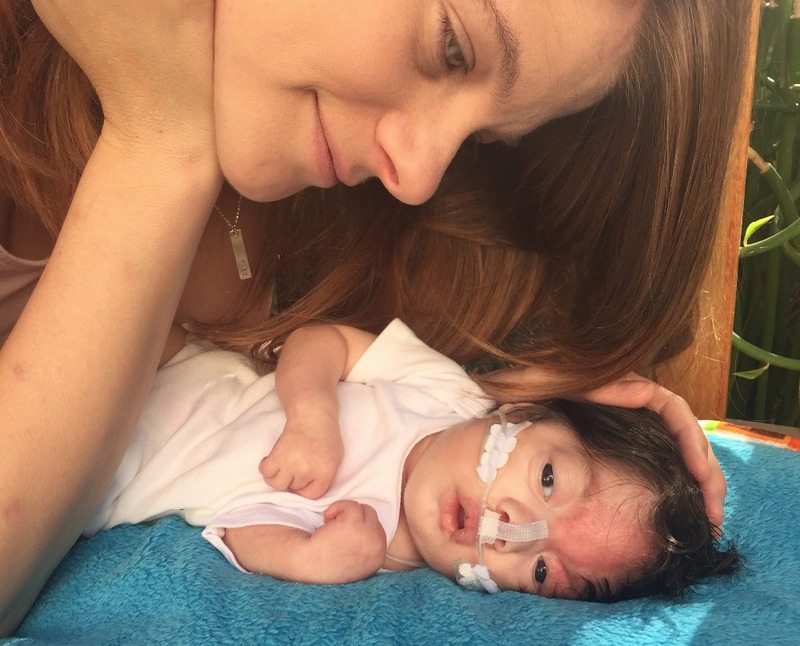 This was a Godsend for baby Theo and his parents during his final days. 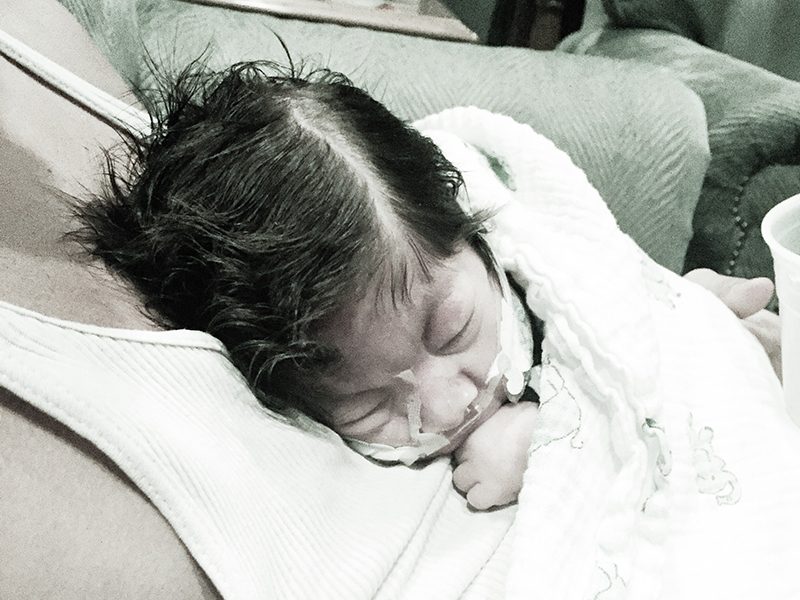 With your help, we will be making a donation to Ryan House in Theo’s honor, for what would be his first birthday. These donations continue to provide the medical attention needed, as well as fun things like instruments and toys, that every sweet child should experience. p.s. Join Nick and Niki Kizer for a free concert called "Roarrr for Ryan House" in honor of their late son, Theo the Lion. 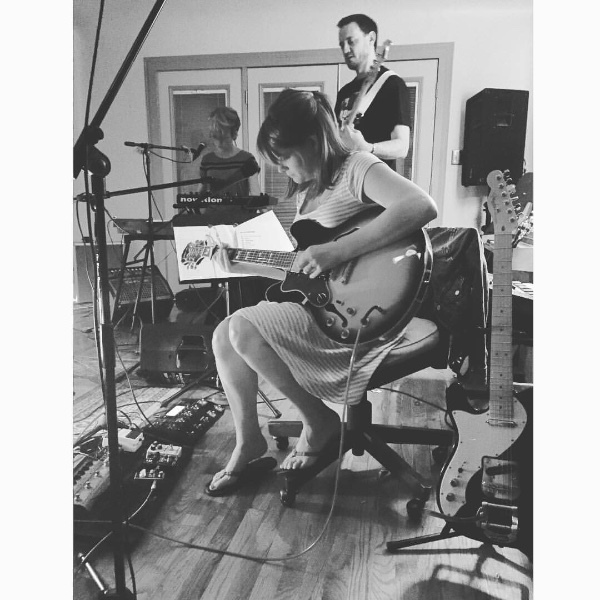 Their band The NIX will be performing with a few of their closest friends and loved ones. It will take place at Valley Bar in Phoenix on Saturday, September 12 at 7:30pm. 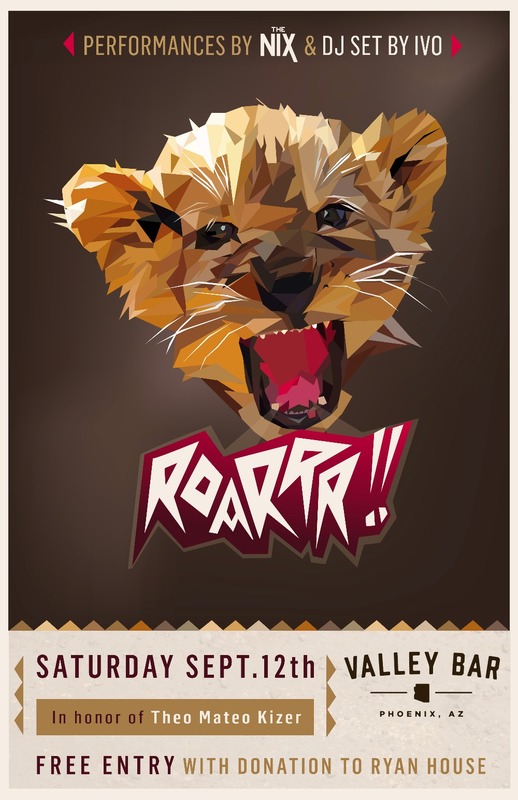 For tonight's "Roarrr for Ryan House"
Downtown is always a little hard to navigate, even the hip Valley Bar. Just a reminder that there is a parking garage just north of the venue. It might be worth setting out a bit early as we start promptly at 7:30. Thank you for supporting us and hope to see you soon! We reached the $1000 mark. GO Theo!!! Thank you to all my amazing people who helped out so far!!! I tried to make it to the show, but work kept me late! I think of the three of you often. Much love! Ryan House was our harbor during many a storm with our little one. Much love and light to your family.